The first project of 2015! A cute little blue pikmin! It was my first try at making a plushie from scratch. After making the Luma Plushies I wanted to make something for my boyfriend. One of his favorite games he played while growing up was, you guessed it, Pikmin. I tried drawing my own template for it in my sketchbook of a blue pikmin, then added about a 1/4 inch outline around it to make the seams. I went on to cut out the template and began to trace it on the blue fleece fabric. The rest was just basic sewing, except for the mouth which I created with pink acrylic paint. 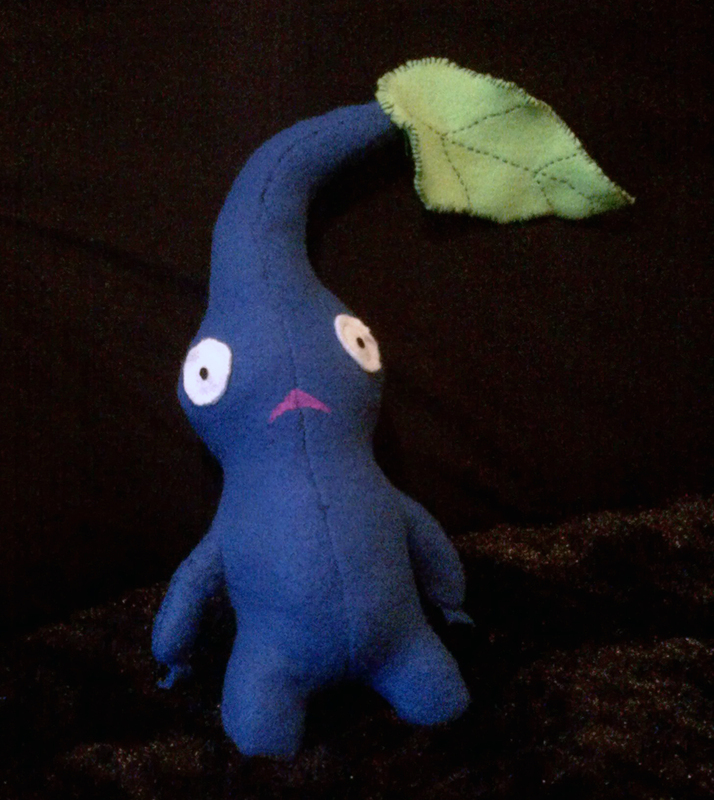 I added the leaf and face on after I completed the base of the pikmin. This project caught me a lot about making plushies. First off, when making the template I needed to make the neck and other areas more dramatically smaller for the pikmin to be accurately proportional. 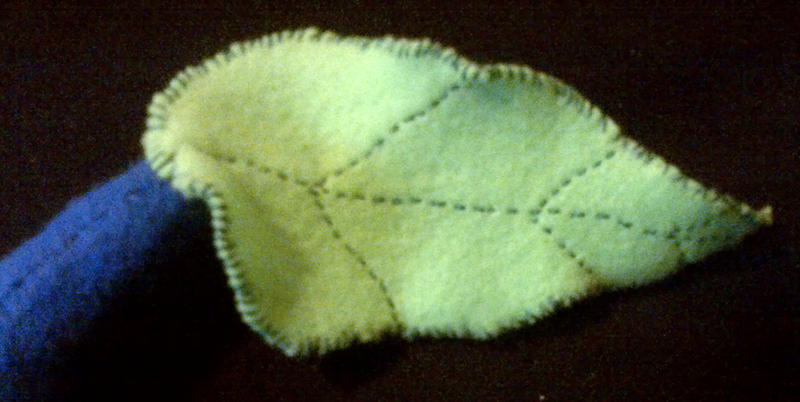 If I had sewn it in a way to where I added the head to the body I might have been able to fix it. I will have to try this on my next project like this. Secondly, I need a thicker material to make hands and such for plushies. Lastly, knowing how to draw a creature is the first step to making a plushie. 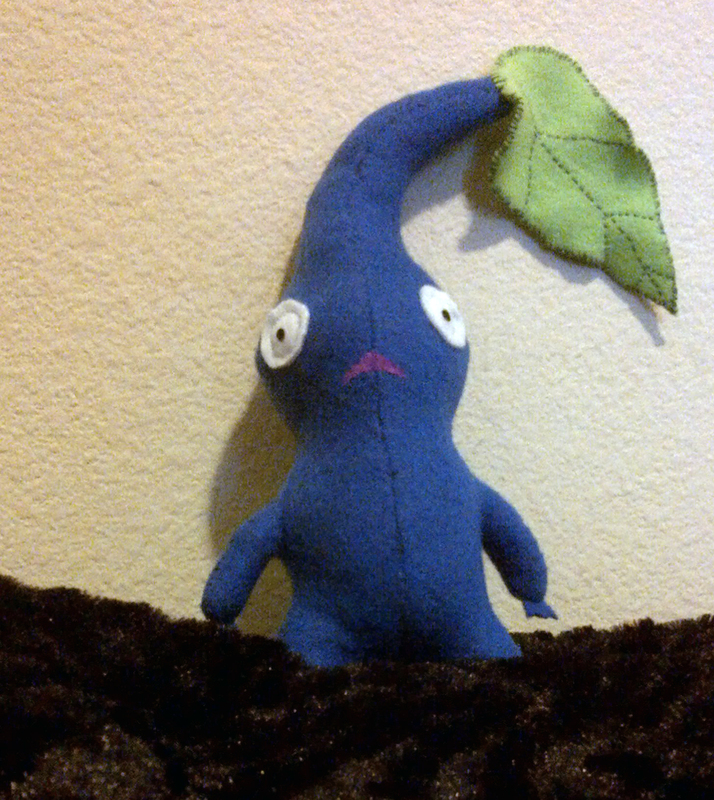 Overall, I love how this blue pikmin turned out. It is hopefully the start to many more new and exciting projects for myself. What was your favorite videogame/movie growing up? Ahaha this guy is so cute! What a great idea!